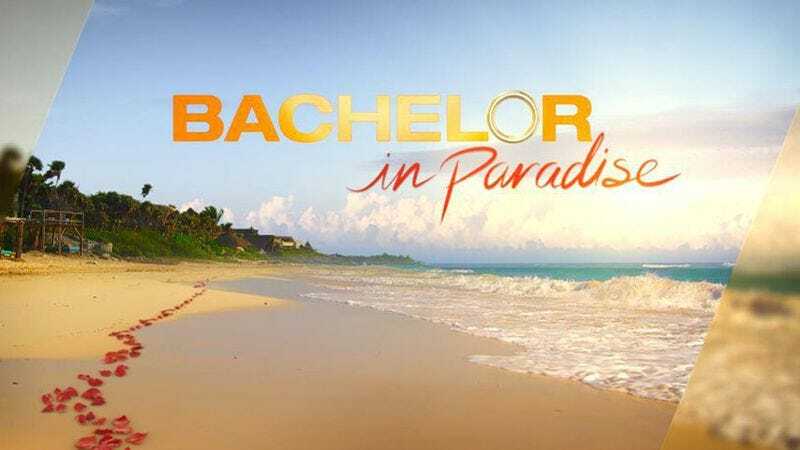 Variety reports that Warner Bros., the studio that produces The Bachelor, The Bachelorette, and Bachelor In Paradise, has finally determined how it’s going to try to handle the latter show’s badly damaged fourth season. According to sources close to production, the series will directly address the June 4 incident between Corinne Olympios and DeMario Jackson—in which a producer expressed concerns about whether Olympios, who’s said she has no memory of the incident, was too intoxicated to consent to a sexual situation—in some way, although its still not clear how much detail the show will go into in addressing the issue. More surprising, though, is the news that, while the series won’t use any footage from the night in question, it will still use material shot in the preceeding week of filming. So, despite the fact that Olympios, specifically, has declined offers to return, she’ll still appear on the show. Both performers retained legal counsel after rumors began to flow about the incident. Olympios released a statement yesterday saying that her team’s investigation of the events had been “completed to my satisfaction,” that she was “happy about the changes that have been made to the production of Bachelor In Paradise,” but that she would not return to the series. It’s also unlikely that Jackson will return to Mexico to continue the show’s fourth season, although that’s not certain, and Variety reports that he’s “likely” to appear in an interview on a live episode of this year’s still-running season of The Bachelorette. Meanwhile, most of the show’s other cast members have returned to its set. The series is expected to air late this summer, some time after its originally scheduled August 8 premiere.